One of my favorite snack foods is definitely Oreos and milk! I am never without them in my pantry--double stuff, peppermint, red velvet...I've tried them all. 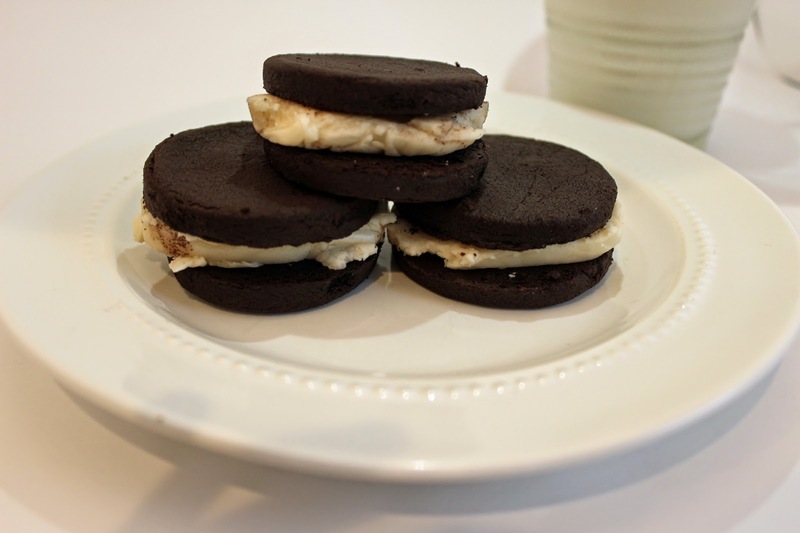 This past week on one of my many Pinterest searching days I came across a Oreo recipe. The recipe was super simple and delicious! Oh, and there are no eggs in this so I can not confirm or deny that I was tasting the dough as I was making these! Ahh! These look so delicious! And major bonus for being able to eat the dough (always the best part!). Look forward to trying!